I’ve been working with the legendary writer, dramatist, poet, actor, artist Heathcote Williams on his new investigative poem, Badshah Khan: Islamic Peace Warrior which Thin Man Press will be publishing on 2 June. The book is very much in contrast to the work that has kept me busy the past seven months – a weighty tome about the Islamic State (see separate post). 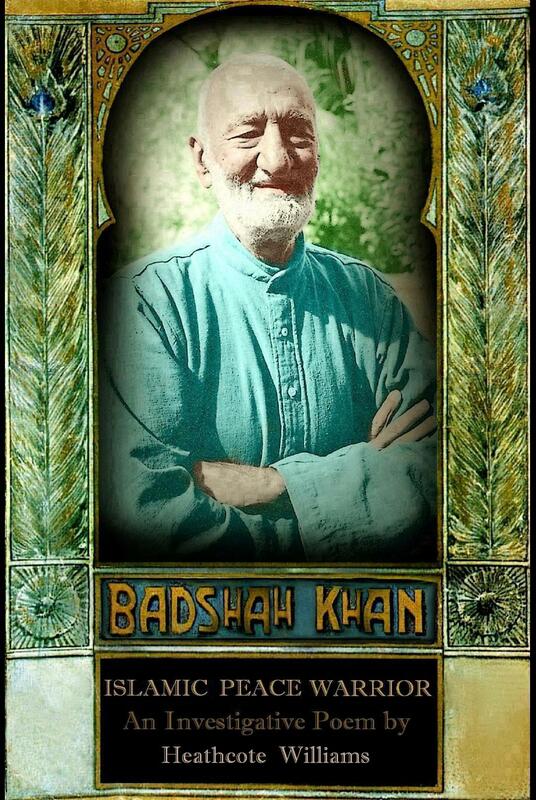 Badshah Khan, a Pashtun Muslim from the North-West frontier country on the Afghan-Pakistan border, was a great friend of Mahatma Gandhi and assembled an unarmed, 100,000 strong Islamic Peace Army. He lived to be 98 years-old despite being in prison for much of his life and being regularly tortured, first by the British and then by the Pakistani authorities (after partition). He died in the 1980s. The style of Williams’s work is particularly interesting; a mesmeric flow of measured, carefully considered words… the first part of the polemic is about the regional antics of the old Empire (Britain) while the second moves onto the ‘new Empire’, the US, and the damage it has inflicted on the Middle East and Asia. And at this time in history, with Islamophobia poisoning the hearts of Westerners, the barbarism of the Islamic State dominating world headlines and war raging across the region, it is life affirming and reassuring to read about this Pashtun giant of a man and his big-hearted love for his fellow man and his gentleness in the face of violence and evil. A gentleness and peacefulness that is shared by millions of Muslims and which is the true face of Islam. Heathcote was fantastic to work with, considering every editorial suggestion with patience and a rare objectivity (a lot of writers have a hissy fit if you dare question even a choice of word). He was kind enough to claim that I was the best editor he’s ever worked with – I am sure that’s not the case but my heart swelled with pride for a moment back there! This entry was posted in Uncategorized on April 1, 2015 by susandemuth.